Having your home invaded by pests is seldom easy, and is often quite distressing. Here at Catch-it Pest Control, we understand your predicament, and are here to help. If at any point you discover you are in need of professional pest control specialists in the Tottenham area, Catch-it is going to be right there to deal with the problem. We provide round the clock, emergency 24 hour pest control Tottenham, as well as serving all neighbouring locations within the M25. The most challenging aspect of controlling unwanted pests, is not just completely eliminating the culprits, but keeping the property clear of any future invasions. Pest management is, in the majority of cases, a job that is better left to the specialists. It requires extensive training to be able to identify, monitor and eradicate pests from a client’s house or business premises. Our team was originally founded with a single goal…to keep the properties of Tottenham residents free of pests. We can eradicate a wide range of pest infestations, for instance moth control and fumigation, mice or mouse control London, ants in the house, wasp pest control, bed bug treatment, getting rid of cockroaches, fox control, pigeon problems, squirrels in loft or attic, fly pests, rat catching, pest control for fleas and the like. Some pests, like squirrels, may become a problem in the cold season, while some are more likely to enter a property in summer. Others may take up residency while your property is empty, and survive for a very long time without food. Whichever creature has contaminated your home, you can really count on us to offer affordable pest control in Tottenham, and to handle pests within your budget. Our primary goal is to offer the finest Tottenham pest control services, and come to be the preferred service provider for the whole of Tottenham and its surrounding areas. When you call to make an appointment, we’ll gladly carry out the work regardless of how large or small, or level of difficulty. We promise that after the job is complete, you’ll have a positive outcome. To that end, following our initial visit, our technicians will make up to two further appointments to guarantee that the pest problem has been completely dealt with and won’t reappear in the foreseeable future. We provide commercial services, as well as residential services, for business clients who want the reassurance of using one of the best pest control companies in Tottenham. Some organisations, for example those handling food and drink items, are rather sensitive, and being overrun by unwanted pests may threaten their business. This is why we are always available to provide discreet solutions for commercial pest control Tottenham. Our team of skilled specialists will always perform a complete investigation to determine the degree of the infestation. As soon as we receive your call, we usually send a team member to your home, to talk to you, and also to review the kind of problems you’ve been encountering since the pests appeared in your environment. There will be an intensive premise check to identify the degree of any damage caused by the pests on your property, ahead of performing any procedure. Our specialists will be paying special attention to the breeding areas of the pests, as well as their known entry points. As soon as this thorough assessment has been carried out, our expert will break the procedure down for you and pair it with an inspection statement. You will get a copy of the paperwork. You can then let us know the best time to come undertake the pest management, and any treatment solution that might be required. 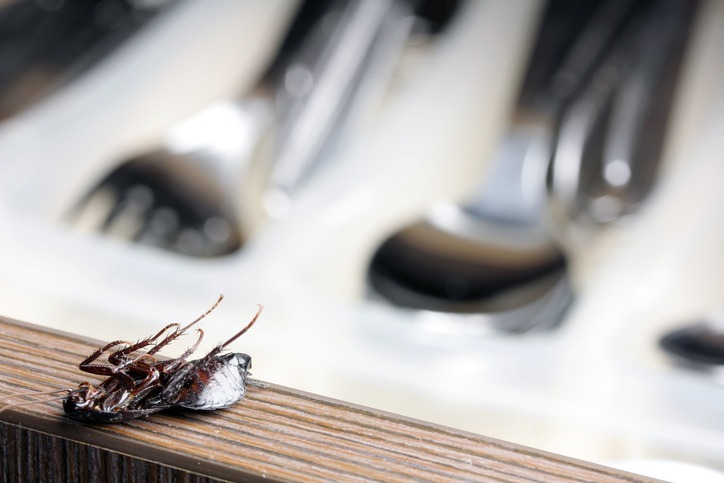 If unwanted insects or vermin have infested your kitchen, or maybe even your sleeping area, you will probably need them to be handled right away. You can expect us to provide emergency pest control Tottenham for this specific sort of critical circumstance. It’s not as though unwanted pests give you warning of when they are coming! We provide 24 hour Tottenham pest control, simply because we understand that certain pest situations can not be allowed to remain in your house overnight, and need to be dealt with immediately. When you speak to our customer services staff, they will give you a 100 % free, no obligation quotation for pest control in Tottenham, or any of the surrounding localities within the M25. If you do not really know what kind of intruders have infested your home, you can find all the information you need to help you to pinpoint that specific pest., here on our website.